On January 28, 2013 the Owens Lake Master Plan Committee gathered in the Tallman Pavilion at the Bishop fairgrounds in Inyo County, California. Its roughly three-dozen members—representatives from a smattering of agencies, environmental non-profits, tribes, and local activist groups—were there to see schematic renderings of habitat restoration proposals for the Owens Dry Lakebed. They’d spent the last two years sweating the details of how strategically managed wetlands, boardwalks, and other amenities might be incorporated into more than 40 square miles of dust control work being done by the Los Angeles Department of Water and Power. Three of the most respected landscape architecture firms in Southern California had been brought in to consult on the plans. However, walking in hopeful was no guarantee of walking out that way. 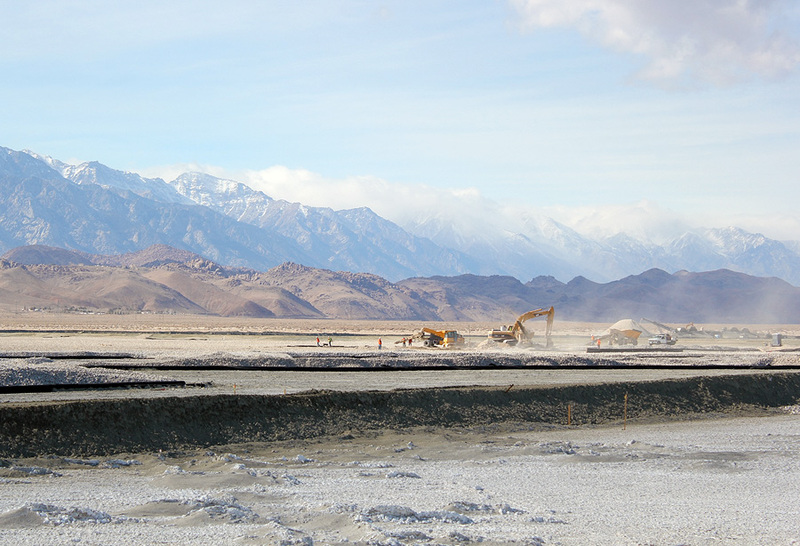 Click here to keep reading about how Los Angeles is holding ambitious plans for Owens Dry Lake hostage as the city demands a limit to its responsibilities to quell dust on land dried out by LA water diversions. The story is part of the autumn issue of the journal Arid and was made possible by a grant from the Annenberg Foundation Metabolic Studio. On another front, the monthly posting about the elevation of Lake Mead will return in October. However, in brief, the largest storage reservoir in the country closed August at 1,106.13, less than three dozen feet above a marker that will trigger water shortages in Arizona and Nevada. To understand how bad nerves are in Southern Nevada, do read this piece by Henry Brean in the Las Vegas Review-Journal.